Contemporary area rugs are gaining in popularity because of their ability to mix tradition with modern designs; many clients still want the quality and timeless beauty of a hand-made rug, but they need it in contemporary design and colors to fit into their style. Alyshaan has embraced this need and desire and our showrooms highlight a vast array of choices in contemporary rugs. Contemporary rug designs offer: incomparable beauty, attractive colors and prices that can fit into many budgets with the untouchable quality of tradition and culture to all interior design. Contemporary area rugs offer a punch and pop of color to any space in your home. There are limitless choices in styles, colors and sizes, so it is easy to match the rug’s design with any prevailing color schemes or surroundings. If among the thousands of contemporary rugs offered at Alyshaan, you cannot find one to fit your taste, you can always design one of your very own through our custom design program. A contemporary rug steals the show and can easily be the centerpiece of any room, and if you so choose, you can build your design and room around entirely around its design and colors. Using a rug as a center piece for your design does not limit your style in any way for contemporary rugs come in a variety of different colors. Modern style is altering slightly as of late and many contemporary rugs are more mute in their color but rich and detailed in their intricate designs. The designs speak over the colors and are big and bold. This is an interesting switch in interior design and a unique and attractive aspect to muse over when creating a room design. A contemporary rug can launch you into areas and styles of design that you haven’t encountered yet, a design adventure that Alyshaan would like to be your partner in exploring. 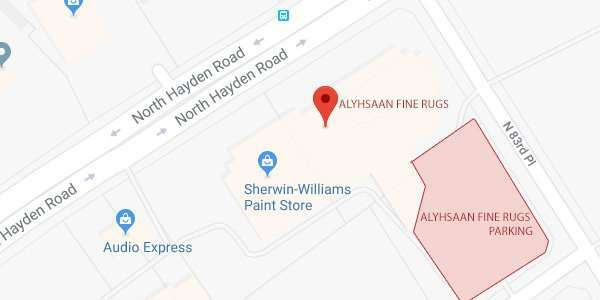 Whether you chose a rug bold in design or bold in color, you can achieve the look you desire by searching through or creating your very own rug at Alyshaan.